Amazon Financing: How Does It Work? In recognition of how many consumers now use Amazon to make major purchases, Amazon has unveiled a financing program to ease the burden of up-front payments. This financing program is administered through Amazon’s new store card. 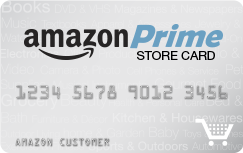 As well, for Amazon Prime members, the Prime Store Card — a cash back card — is issued instead of the regular Amazon Store Card as part of the membership perks. In this post, learn how Amazon financing works and how to get started. In order to participate in Amazon’s new financing program, you first need to have two things: an Amazon.com customer account and an Amazon Store Card (managed by Synchrony Bank). Once you have successfully applied and been approved for an Amazon Store Card, you can begin using it to shop instantly, even while your card is en route to you by mail. What Items are Eligible for Amazon Financing? Only certain Amazon.com items are eligible for financing through Amazon. Amazon also offers three tiers of financing – six months, 12 months and 24 months. These three tiers correspond to different product categories and different purchase amounts. Six month financing is available for these categories: Books, video games, kitchen and dining, baby products, DVDs and automotive items. 12 month financing is available for these categories: Watches, jewelry, musical instruments, major appliances, wheels, computers, sports and outdoors, cameras/photos and video cameras, home improvement. 24 month financing is available for high-definition televisions. There are certain financial thresholds that must be met before financing is available. Once the financing threshold is met (which represents a minimum spend amount), interest is deferred until the financing period has expired. You get to choose your preferred interest-free financing period based on your purchase threshold and what is available. – Purchase of $149+: six months interest-free financing. – Purchase of $599+: 12 months interest-free financing. It is important to note that these minimum thresholds must be met outside of shipping, handling or taxes. Only certain specific Amazon items (see above section) are eligible for 24 month financing. As well, certain items are eligible for a different financing option, which lets you pay back your purchase in 12 equal monthly installments over a year’s time. Amazon also offers you the ability to manage your Amazon Store Card and financing options through their online account management system. – View present and past statements. – Pay Amazon bills online. – Make changes or updates to your personal account information. – Opt in for recurring payments made from your card. Because Amazon’s financing program is categorized through product categories and spending thresholds, it is possible for you to take advantage of Amazon’s special financing offers for multiple products at the same time. As well, the special financing program is available whether you are a brand new Amazon Store Card customer or you already have an open Store Card account. The Amazon Store Card from Synchrony Bank is a credit card just like any other. However, it is also a store-specific card, which means you can ONLY use it to make purchases via Amazon.com. As well, the Amazon Store Card does report to all three major credit bureaus just like the other credit card companies do, so it can affect your credit score if you have missed or late payments or balances outstanding. Amazon’s special financing program in the form of its Store Card and Prime Store Card has been popular with customers to date and it offers flexibility to make major purchases as needed without having to front the entire cost at once or deal with the burden of interest right away. For these reasons, Amazon financing is worth looking into if you need to make an expensive purchase such as a laptop or a large household appliance.